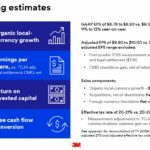 3M (MMM) released Q4 and FY2018 results and FY2019 guidance on January 29, 2019. FY2018 guidance was lowered at the end of Q3 2018 and MMM met that lowered guidance. FY2019 guidance provided at the November 15th Investor Day has now been revised lower. Despite the lower guidance, MMM is expected to generate strong earnings and Free Cash Flow thus enabling the company to continue to repurchase share and increase its dividend (a dividend increase announcement is imminent). I view MMM as being slightly overvalued and am of the opinion another market pullback will occur in the not too distant future at which time investors should be able to acquire MMM shares at a more attractive valuation. MMM lowered its FY2018 EPS guidance when it released its Q3 2018 results in October. 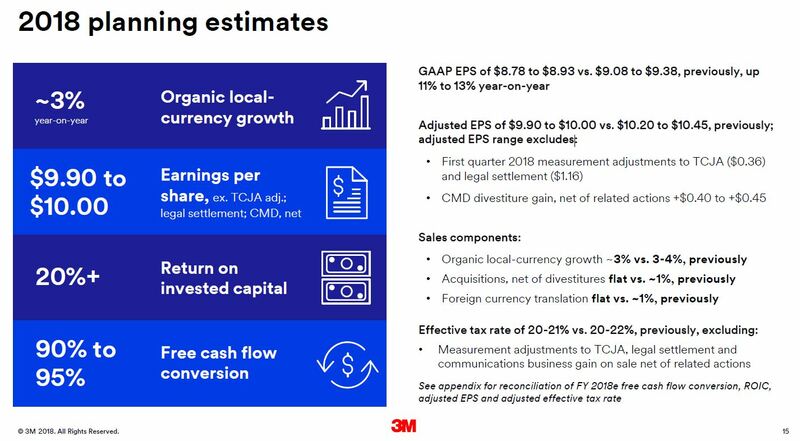 FY2019 EPS guidance provided at its November Investor Day been lowered to $10.45 - $10.90 which still represents a 17.5% - 22.6% YoY increase from the $8.89 earned in FY2018. 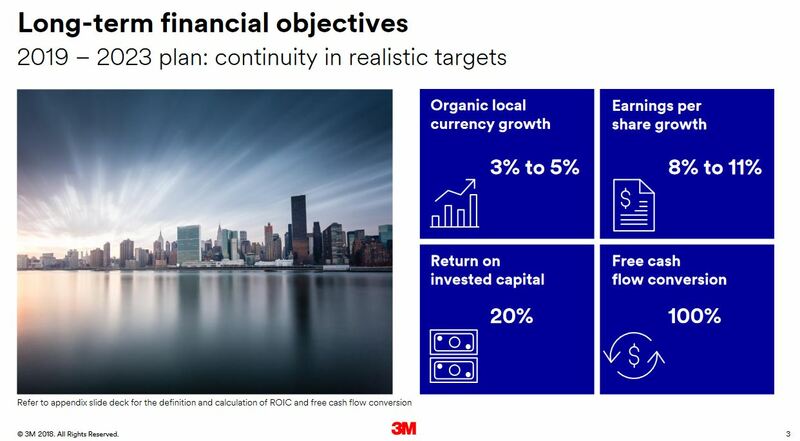 The company consistently generates significant Free Cash Flow. Another dividend increase is likely to be announced within the week which will mark the 60th consecutive year in which MMM has increased its dividend. MMM is encountering headwinds and while it is projecting aggressive EPS growth I am of the opinion that it is not attractively valued. A market pullback similar to that experienced in December should not be ruled out and if MMM’s share price once again retraces to $180 or below I would consider acquiring additional shares. 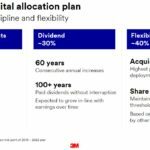 I previously covered 3M (MMM) in ‘One of My Top 5 Largest Holdings Helps Me Sleep Well’ and followed that up with ‘Don’t Give Up on This Great Company’. In my ‘Don’t Give Up’ article, I listed various macro headwinds I expected we would encounter. This led me to believe that we would experience heightened volatility and opportunities in which to acquire MMM shares at more attractive valuations. When I wrote my October 23rd article I indicated that I am already overweight MMM and would only be acquiring additional shares (low double digits quarterly) through the automatic reinvestment of the quarterly dividends. When MMM’s share price plunged to the $180ish level just before Christmas, however, the attractive valuation proved too good to pass up. I, therefore, acquired just a few additional shares for one of our undisclosed retirement accounts. With MMM having held its Investor Day in mid-November 2018 and having released Q4 and FY2018 results and FY2019 guidance on January 29, 2019 I am now taking this opportunity to revisit MMM. 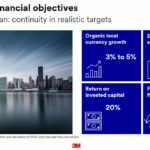 On November 15th, MMM’s CEO introduced the company’s priorities for the future and provided 5-year financial targets. 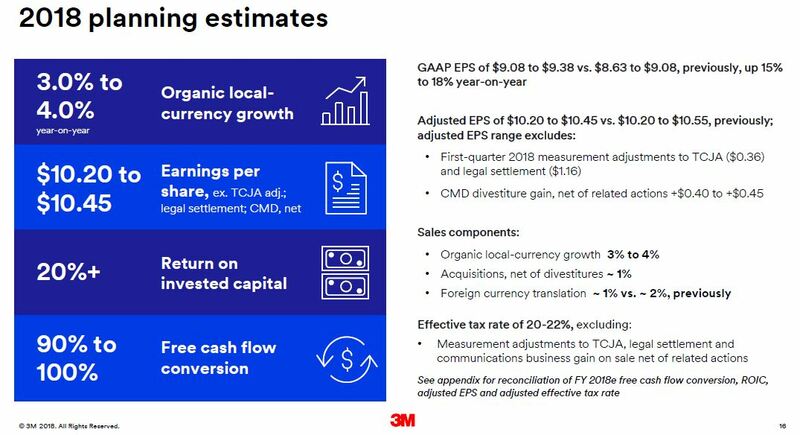 Management has indicated that it is targeting a 200 - 300 bps operating margin improvement by 2023 with 100 - 200 bps to come from a gross margin improvement and ~100 bps to come from SG&A efficiencies. 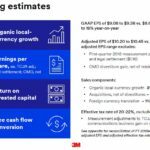 Incremental net debt and a further optimization of MMM’s capital structure and a reduction in the cost of capital: $5 - $15B. 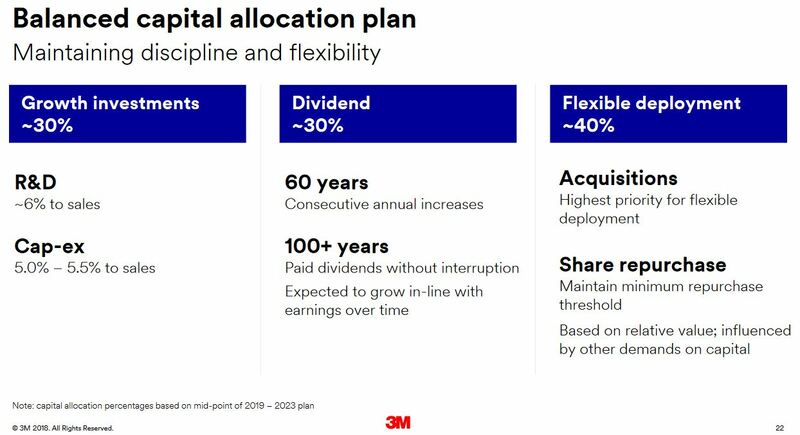 Management has reiterated its commitment to dividend growth and share repurchases. Adjusted EPS of $10.20 - $10.45 versus the previous $10.20 - $10.55. Adjusted EPS of $9.90 - $10.00 versus the previous $10.20 to $10.45. Let’s see how the previous guidance compares with the actual FY2018 results MMM released on January 29th (cont’d.). Disclosure: I am long MMM.